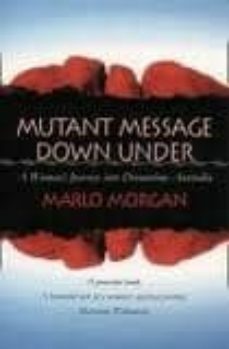 "Mutant Message Down Under" is the fictional account of an American woman's spiritual odyssey through outback Australia. An underground bestseller in its original self-published edition, Marlo Morgan's powerful tale of challenge and endurance has a message for us all. Summoned by a remote tribe of nomadic Aborigines to accompany them on walkabout, the woman makes a four-month-long journey and learns how they thrive in natural harmony with the plants and animals that exist in the rugged lands of Australia's bush. From the first day of her adventure, Morgan is challenged by the physical requirements of the journey--she faces daily tests of her endurance, challenges that ultimately contribute to her personal transformation. By traveling with this extraordinary community, Morgan becomes a witness to their essential way of being in a world based on the ancient wisdom and philosophy of a culture that is more than 50,000 years old.